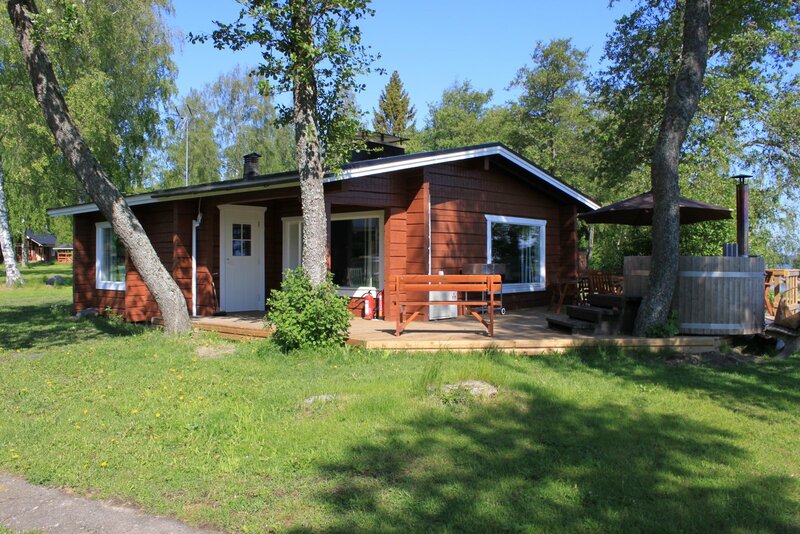 This sauna cottage is perfect for smaller parties of 5 people at the most. 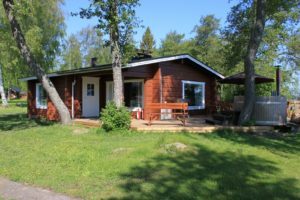 The sauna has been just renovated, and with the sauna itself, the cottage includes a shower, and a fully equipped kitchen. The equipment also includes a television and radio. 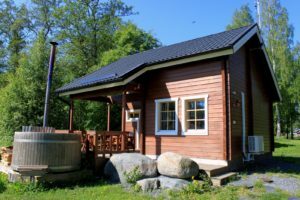 The sauna cottage has a fully furnished patio. 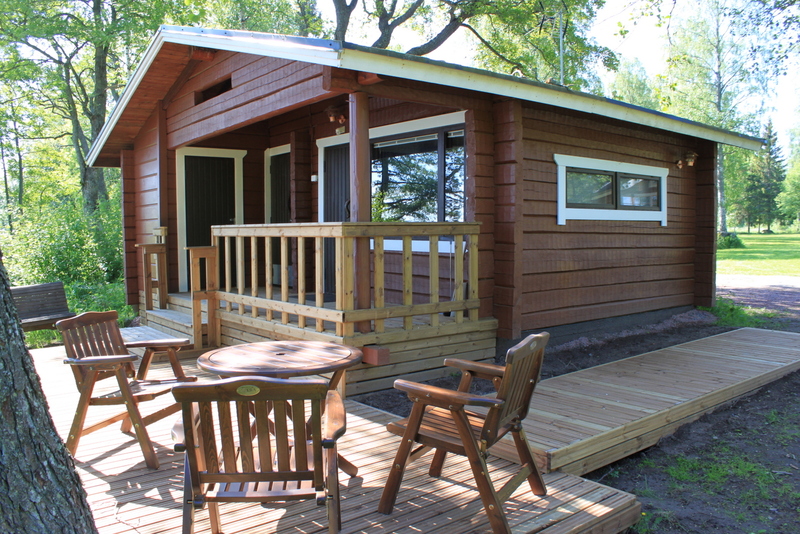 The largest sauna cottage of the Anttoora holiday village is large enough for a party of 20 people. The sauna, with a wood-heated stove, is particularily large. The cottage includes a fully equipped kitchen, and a dining table for about 12 people. The sauna os located only a couple of meters from the shoreline, and it has a large patio with a hot tub. The hot tub may only be heated by Anttoora staff, or with their guidance. Towels, catering and cleaning can be arranged by Anttoora staff if so desired. Sauna B and Sauna C are located right next to each other, and together are large enough for a party of 35 people. The new sauna cottage has a large sauna, which can fit upto 10 people at a time. Two showers, a hot tub, and a large patio create the perfect circumstances for a great evening. 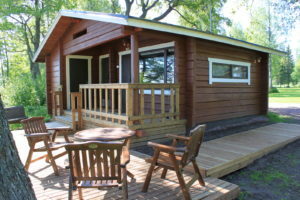 There is also a lockerroom in the cottage, a bathroom and a fully equipped kitchen. Sauna C is located on the beach. 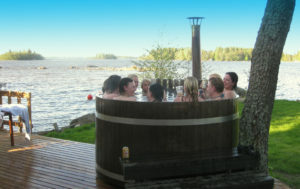 The patios of Sauna B and Sauna C include hot tubs, that can be rented with the sauna cottages. Each hot tub fits 6-8 people at a time. 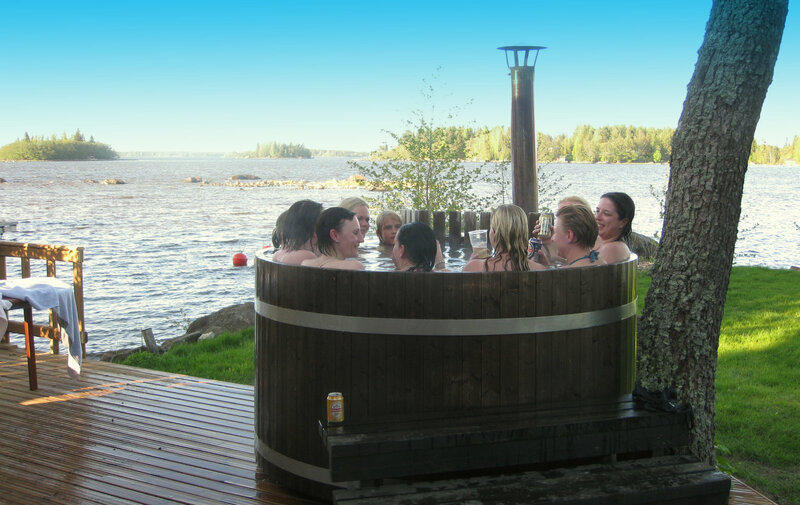 The wood-heated hot tubs may only be operated by Anttoora staff, or with their guidance. Towels, catering and cleaning can be arranged by Anttoora staff if so desired. © 2019 Anttooran lomakylä. All Rights Reserved.